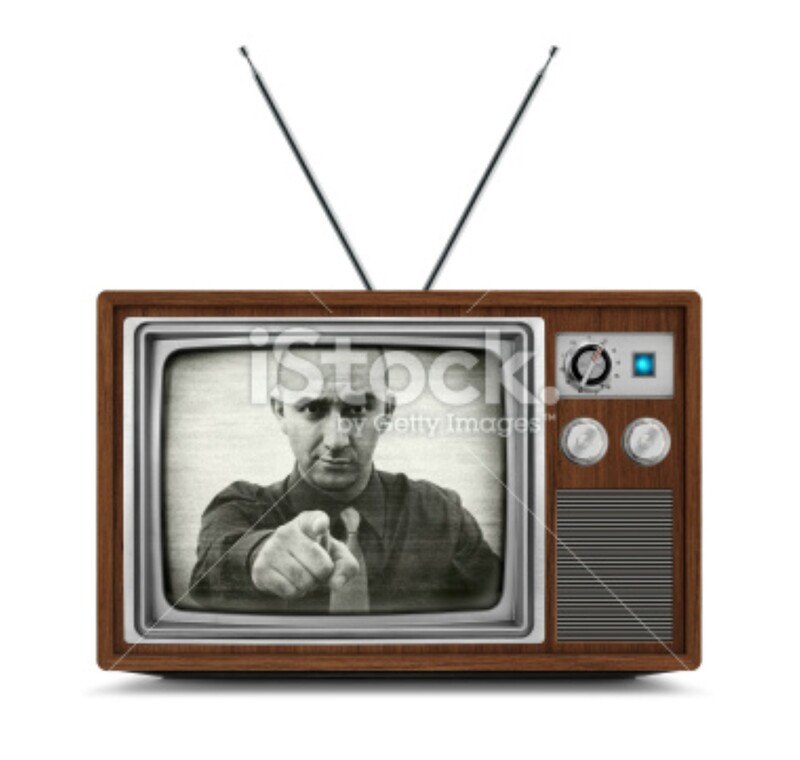 Wooden vintage black and white television with a man pointing directly at camera with index finger on the screen. TV has a wooden body, metallic buttons and antenna. Isolated on white background.